This week was just as lame as last week considering so many people (those that I work for) are out this week. But regardless, I still gotta let ya know if anything exciting ever happened! Now, avert your eyes from that ridiculous “Crunchy Nut” commercial and check out my life as a Washingtonian. Not much happened at work today. I contacted a few people in the NY office for an internship. I have an interview on Friday Yayy! Also, at NGT, I helped with some photo research for John. Fun times! There was another softball game today, Go Vampire Bats!, and I completely forgot about it. I went to grab a sandwich to make sure that I wasn’t hungry aaand the crew left without me. Come on guys!! I had no idea where we were going but it was at least a 20 minute walk. Phew! 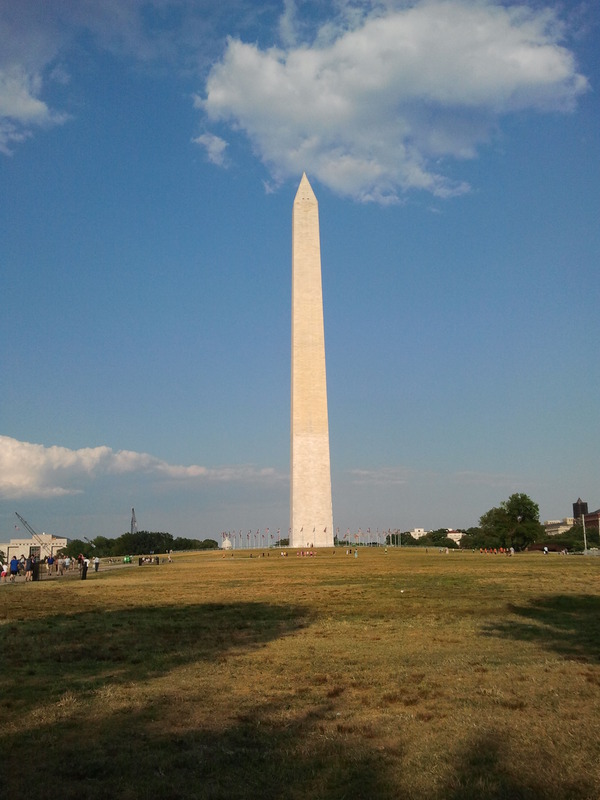 On my way there I ran into the Washington Monument. 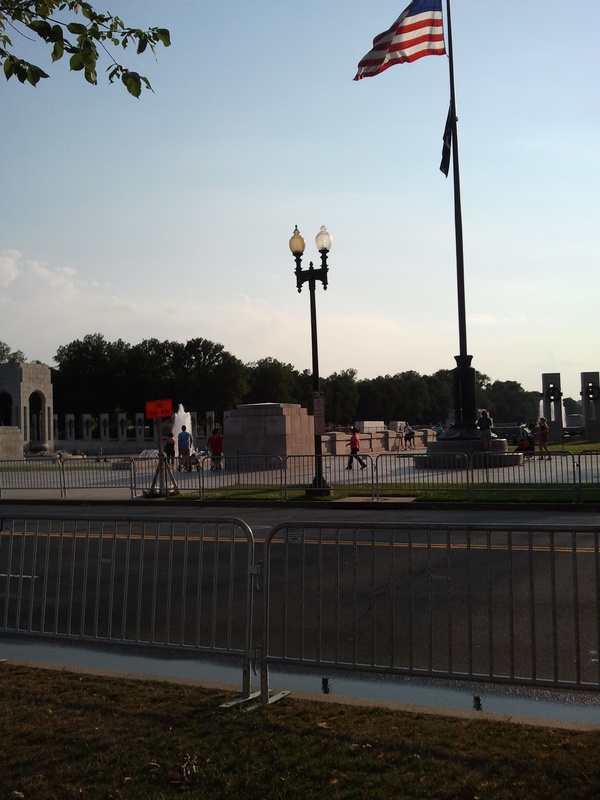 I also passed by the WWII Memorial. You see “Texas” Oh yea! 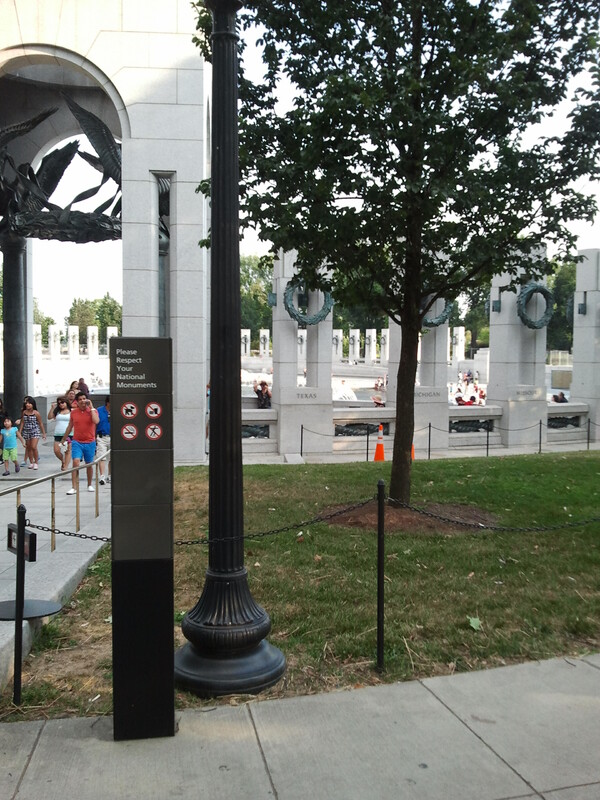 The game was actually near the Vietnam Memorial. Sorry I didn’t take any pictures of that. There were TONS of tourists and I was way too hot and sweaty to care about that. Haha. We won the game, our second win for the season. That’s awesome!! Afterwards, I just went home as they were going back to the Exchange. I don’t even remember what I did today. It wasn’t very exciting. Just hanging around here and there. After work, we (Colin and I) went to Corey’s house to hang out. It was very cool just chilling with him the both of them. Later on, Erik, Dakota, Paige and Corey’s roommate ( I can’t remember his name…. Josh?? ), and Corey’s roommate’s friend came over. They were going to go bar-hopping. So after about 2.5 hours of just hanging out I headed back home so they could partayy. Day off from work. WHOOO!!! Today was a really lame day at work. Haha. Andrew is out because he is feeling under the weather. Get well soon, Andrew! So.. 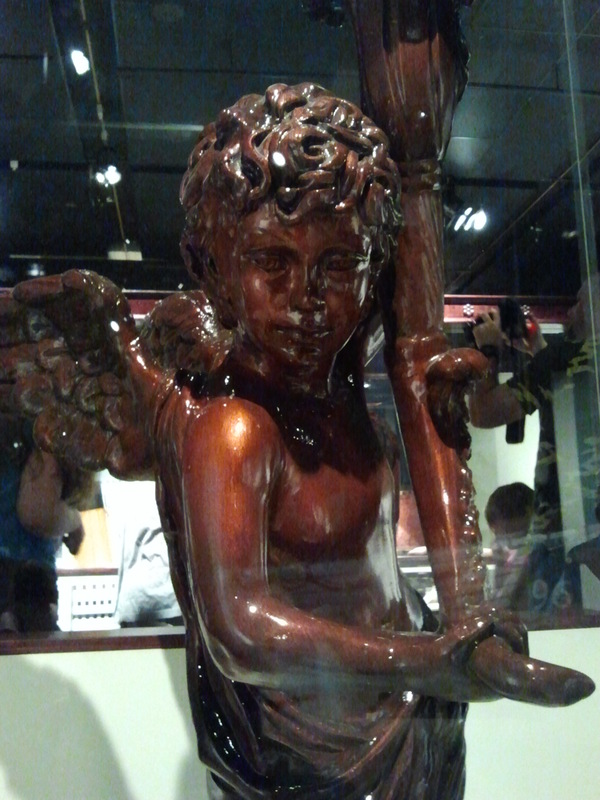 I went to the Museum today. I mean… I get in for free… why not?! 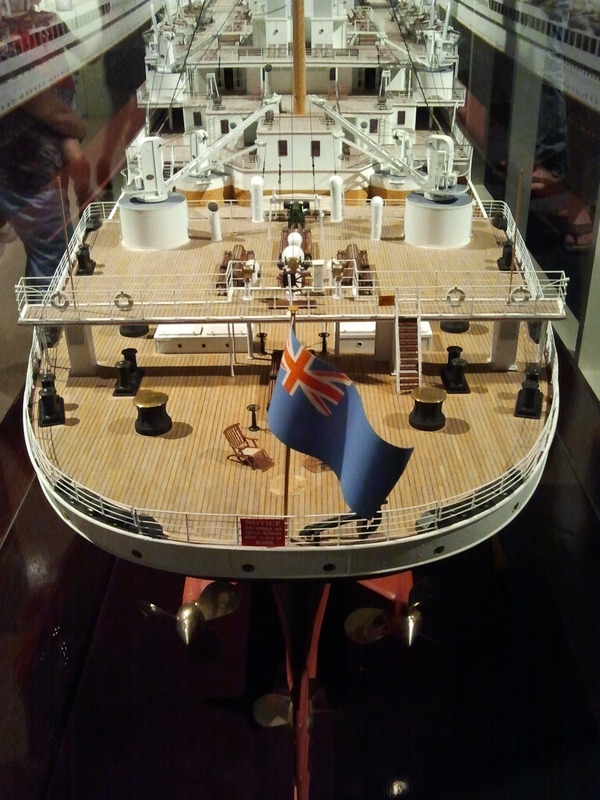 I saw the Titanic exhibit and the Samurai exhibit. 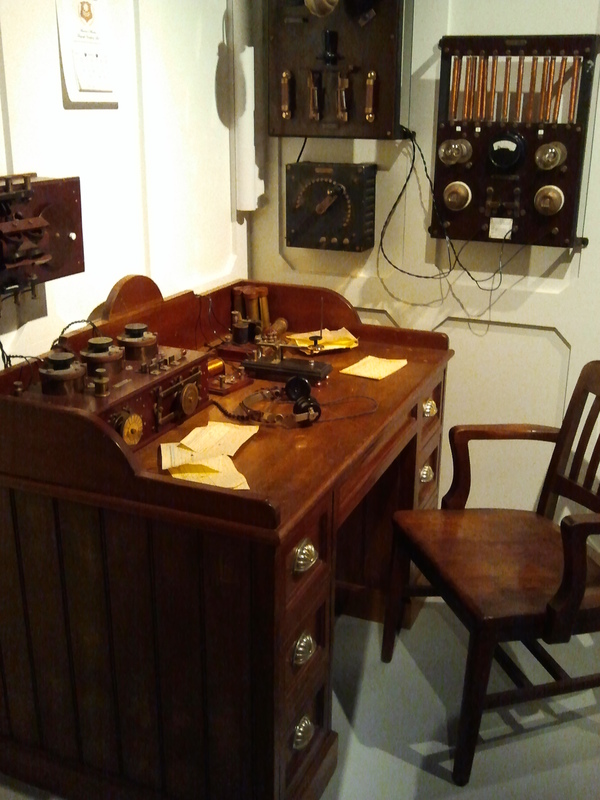 The store was pretty awesome, as well. 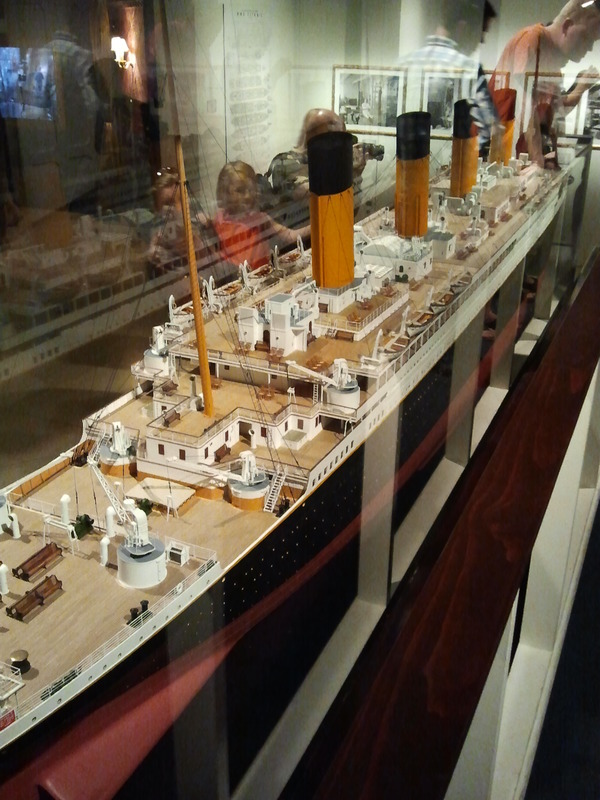 We couldn’t take pictures in the Samurai exhibit, but we could for Titanic. Here is some of what I saw! 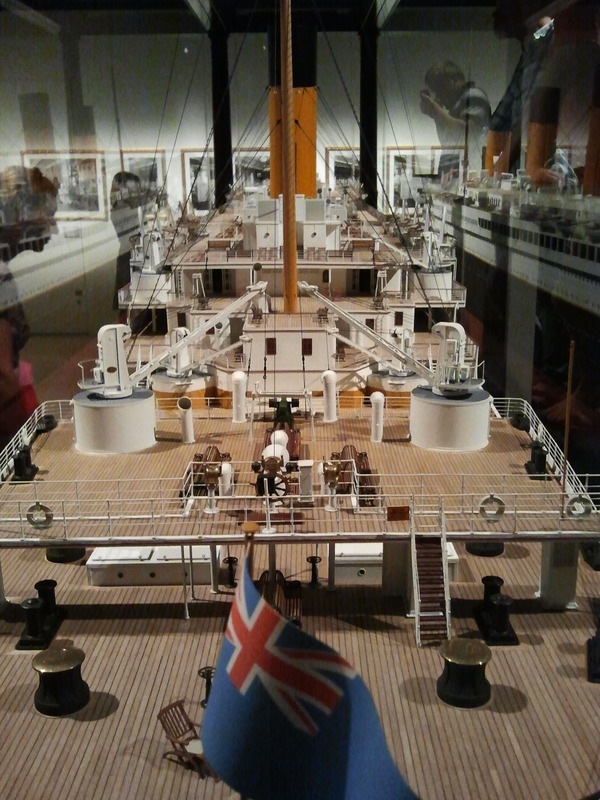 1:47 (or so) scale model of the ship. Captain’s Quarters? I cant remember what this was called. 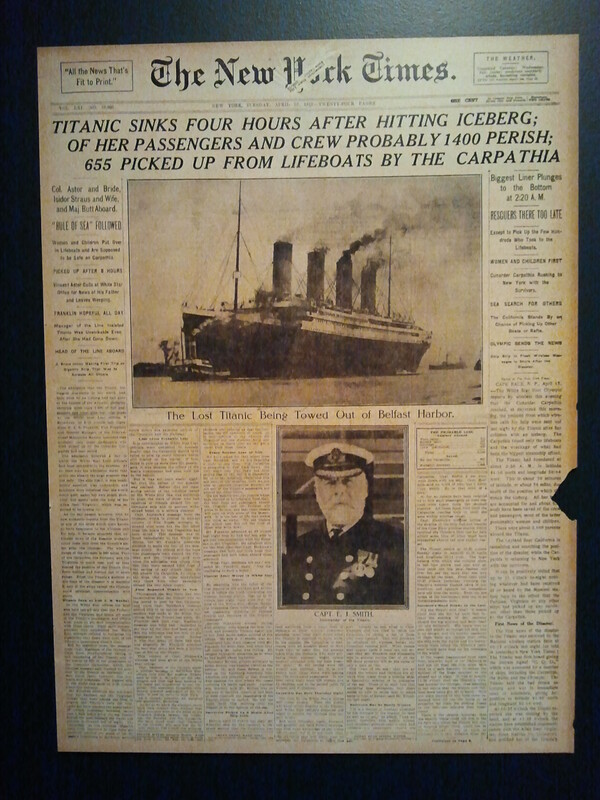 New paper from when Titanic sank. 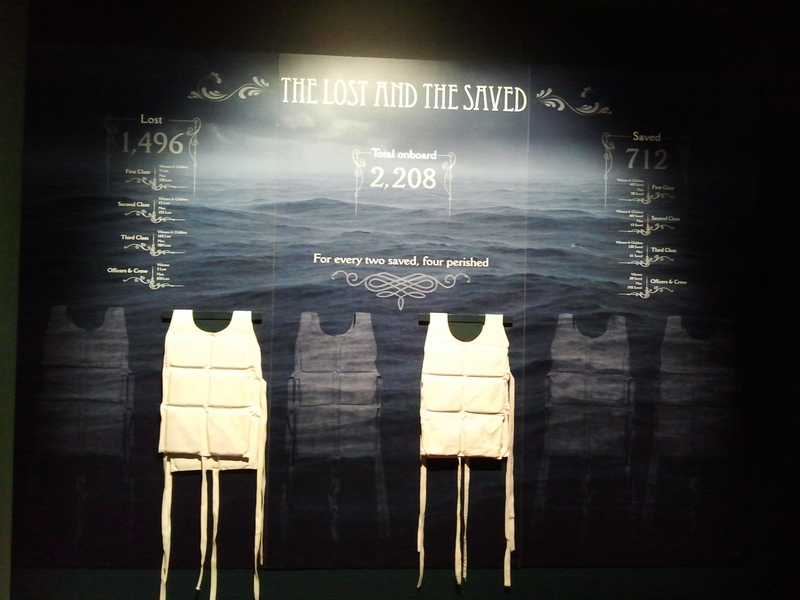 The number of lives lost…. Sad. Today was my Skype interview with Audra, the Operations Manager at the NatGeo NY office. It went well I think! We will see what happens. I also got an email from Studio D and they said they would like to set up an interview with me! I hope I get an internship from either NG or StudioD. It would be phenomenal! At work today, I just helped with some episode work for “The Incredible Dr. Pol.” It was super nice working on a show that is actually broadcasting. Yay! And that’s what I did. It’s really nice when my clothes are clean and I’m able to fold them on a giant folding table. Dear Laundry room in the house of my dreams, you need a large folding table like the ones in Laundromats! They are fantastic!! Just watched NCIS and Mythbusters today. Fun fun funnnn. It’s 1 month from my birthday yaaahoo!!!! I just realized that. I was planning to go to church today, but my body would not let me. Around 10:10, the time when I start getting dressed to head out, I started feeling super nauseated and faint. I think that it is because of my diet. The grocery bags and I need to go shopping today. We will be doing that soon! Hope you enjoyed my posting for this week! I’ll have an update for what my plans became the rest of today, in my next blog posting!